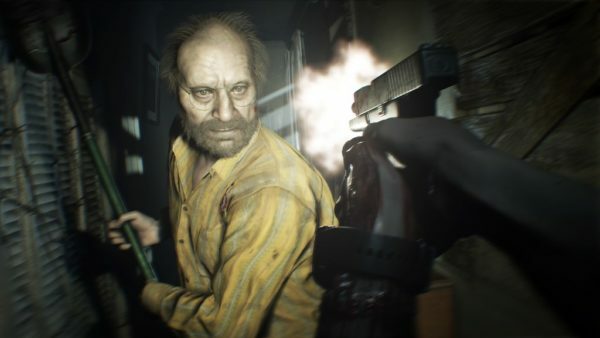 New to Resident Evil 7: Biohazard is a crafting system that allows you to synthesize healing items, ammunition, and other helpful substances that will make your nightmarish trek through the Baker residence a little less hellish. For starters, you’re going to be finding a lot of raw materials like Gunpowder and Chem Fluid. In fact, as you progress through the game, you’ll find that you have an abundance of these materials more so than you do ammunition and first aid drinks themselves. When you’re just getting started in Resident Evil 7, I recommend crafting ammunition whenever you can. Healing items can be found pretty easily at the start of the game, while ammo seems relatively scarce. You never know when the game will throw you into a sudden combat situation either, so it’s always good to have some extra firepower on hand, at least until you find more weapons you can use.